Two days ago I had the pleasure of being interviewed by John Caddell, founder of the Mistake Bank, for a podcast focusing on mistakes. That made me think about some of the things I learned that came from the business mistakes I’ve made. This is over the more than 27 years since I was last an employee, and 22 years of running my (well, our) own business. And despite a fancy business degree. 1. Your employees can’t also be your friends. Most business owners want to treat employees like friends. We hire people we think we like, we work with them, we share values, so it’s only natural. But I’ve found, I’m afraid, that it doesn’t work. Sometimes friends become employees, and sometimes former employees become friends, but don’t kid yourself. People you pay aren’t really friends. And business requires management, which means goals and tracking and accountability and feedback, which, ultimately, means you aren’t equal. You can’t be both equal and effective. As a test, ask yourself: when those people you thought were friends leave the company, are they still friends? This was really hard on me because I brought my anti-establishment quasi-hippie former ’60s persona with me into my business. I’m not naturally comfortable with hierarchy. But in a real business, it has to be there. I learned this the hard way. Profits are just an accounting concept. You get them by adding up the sales you make over a specified time and subtracting the costs and expenses. But having the sale doesn’t mean you have the money; and the cost associated with that sale might be something you paid months earlier. And furthermore, the money you spend to repay debt or buy assets is completely ignored by profits. So it’s not hard to go broke while still being profitable. I learned that in business school first but then had to relearn it 15 years later when my company suddenly doubled sales and profits, but it nearly killed us. We were selling through channels, so money from sales came five months later, but we were building inventory and spending on marketing months in advance. So we were spending in October for sales made the following March that generated deposits into the bank in the next July. We nearly went under during our first big growth spurt. So I learned about cash flow the hard way. 3. Good liars are rare but dangerous. That made me think. Lots of people tell lies at odd moments, make excuses, try to squeeze out of things; but with normal people, that kind of behavior trips them up on a regular basis. But the power of the person who lies very well is something else altogether. That’s another one I learned the hard way. 4. You have to live with mistakes. If you can’t stand mistakes, don’t make them, and don’t tolerate them, then you’re not cut out to have your own business. You are going to make mistakes, you can count on it. You have to be quick and flexible about recognizing mistakes, acknowledging them, and taking whatever steps need to follow them. I agree. I had to learn that the hard way. 5. You can’t do everything, so at least try do the right things. I call it displacement: everything you do rules out something else that you can’t do. Every entrepreneur wants to build every possible product to please every possible customer. I do an you do too. But we don’t realize, or at least I certainly didn’t for a long time, that trying to do everything doesn’t work. You end up not doing the really important things as well as you should, getting things only half done. You try to focus. 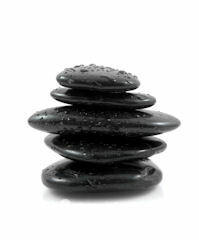 Take a step back out of the chaos, clear your head, and revisit priorities. What really matters? No matter what brilliant ideas you may or may not call your strategy, your real strategy is how you spend your time and your money. I learned that the hard way. Some of the strongest and most pervasive myths about planning are dead wrong: planning doesn’t reduce flexibility. It builds flexibility. And I say: wrong. The dumbest thing in the world is to do something just because it’s in the plan. There is no merit whatsoever in following a plan just for the plan’s sake. You never plan to run yourself into a brick wall over and over. Instead, understand that the plan relates long term to short term, sales to costs and expenses and cash flow, marketing to sales, and lots of other interdependencies in the business. When things change — and they always do — the plan helps you keep track of what affects what else, so you can adjust accordingly. It’s not like change undermines planning; actually, planning is the best way to manage change. I predict accountability is going to be an increasingly important issue as we head into this new decade. The old-fashioned tools of accountability, mainly physical presence, as in hours in the office, or days on the road, are fading. If for no other reasons, it’s because the world can’t continue to support needless commuting, an average of 51 minutes per day in the United States, and way worse in some of the larger cities in the developing world. So what’s going to happen? We’re going to look increasingly for accountability as part of our real-world business planning process. The plan establishes the metric, and the regular plan review and tracking establish progress towards the metric. It’s not just sales, costs, and expenses. It’s more metrics for more people, including lines of code, calls, blog posts, tweets, unique visitors, page views, minutes per call, presentations, proposals, emails processed, and so on. Our tools will give us ever increasing metrics to use. I’m very biased about Email Center Pro, I admit, but if you’re curious you should look into the wealth of metrics it provides on team-managed emails and email addresses, like the sales@example.com or info@example.com. And everybody knows about Google and Web analytics, paid search, etc. And telephones and miles are completely trackable. All of this becomes the concrete specific portion of the business plan, and it is then managed as part of the business planning process. That means that the plan lasts barely a month before results are reviewed. Managing the metrics is a multiple win when there’s regular review, because all the members of the team can easily look on together and see where things have to change. And why. And that’s the future of planning: management. Cash flow is the most important mystery you have to solve. Cash flow is the real heartbeat of business. And unfortunately, cash flow isn’t intuitive. It’s tricky. We think in profits. It’s part of our culture. Take the sales and subtract the costs and expenses, and if the result is positive, then hooray, we’re okay. Unfortunately, it doesn’t always work out that way. Because of accounting rules, sales are sales we made for this month, and costs are what it cost us to produce what we sold this month, and expenses are what we incurred this month. But — and here’s the brutal mystery and trickery of it — we might have paid those costs and expenses months ago; and we might not get paid for those sales until months from now. So we can easily be profitable and broke. Not intuitive, but it happens a lot. Most product businesses need to spend on building or buying the product, plus packaging, assembly, and distribution, long before they can sell it. And most business-to-business sales involve waiting months to get paid. If we could only get the research to prove it, we’d find that a surprising percentage of businesses that go under are profitable when they do. Managing the cash flow, planning on cash flow ups and downs, is one of the fundamental purposes of good business planning. You lay things out in order: how long you wait to get paid, how early you have to build, debt repayments and capital purchases that don’t show up in profit and loss. And good planning helps you anticipate problems in time to deal with them. Go to a bank with a good history and a plan showing cash flow hills and valleys, weeks or months in advance, and the bank loves you. Try it on Tuesday because you’re going to miss payroll on Friday, and you’re out of luck. 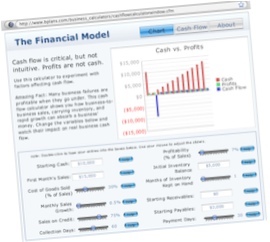 For a good visual on the mysteries of cash flow, go to the free cash flow calculator at bplans.com (shown in the illustration above) and use the sliders to watch what happens as you vary the wait to get paid and inventory assumptions, even without changing profitability. Watch how much faster the cash deficit grows when your sales grow fast and you don’t have an all-cash business. You might also want to read my 10 critical rules for cash flow post. And just a could of weeks ago I saw a good collection of 6 Tips for Improving Your Cash Flow on the American Express OPEN Forum. Business plans are always wrong. That’s because we’re human. Business plans predict the future. We humans are dismally inaccurate when predicting the future. Paradox: nonetheless, planning is vital. Planning means starting with the plan and then tracking, reviewing progress, watching plan vs. actual results, correcting the course without losing sight of the long-term destination. Planning is a process, like walking or steering, that involves constant corrections. The plan sets a marker. Without it we can’t track how we were wrong, in what direction, and when, and with what assumptions. Use this marker to manage the constant conflict between short-term problems and long-term goals. You don’t just implement a plan, no matter what. You work that plan. Use it to maintain your vision of progress towards the horizon, while dealing with the everyday problems, putting out fires. So the plan may be wrong, but the planning process is vital. The truth is that forecasting is hard. Nobody likes forecasting. But one thing harder than forecasting is trying to run a business without a forecast. A business plan is normally full of holes, but you fill them, after the fact, with the management that follows. That’s what turns planning into management. Good planning is nine parts implementation for every one part strategy. Your business plan isn’t necessarily a document; it’s what you want to do in your business or organization, what’s supposed to happen, and why. It’s a combination of goals, directions, long-term strategy, and, more important, dates, deadlines, steps, tasks, responsibilities, and basic numbers. Don’t confuse output with plan. That business plan document is just output. So too are the elevator speech, the summary presentation, the pitch, and the summary memo. They’re just the latest output. So how long is a business plan? Long enough to serve your business needs. How well edited, formatted, and presented? Enough to serve your business’ needs. Think about the difference between the business plan document requested by a potential investor and the business plan document requested by a banker, and the business plan you create because you want to manage your company better. Who’s the audience? What’s the business purpose? You don’t measure a business plan in pages. You measure it in business results. 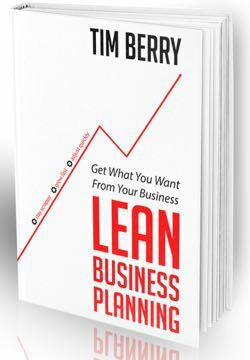 I don’t believe in the business plan in your head, or the one-page business plan, because neither of these serves the management purpose of setting things down as specifics which you can then track and follow up with course corrections. Keeping it in your head won’t work as soon as you have someone else you need to share it with. And it won’t work for management purposes because you won’t be able to track results and manage the difference between what you planned and what actually happened. You lose the value. So forget your preconceived notions about a business plan. Think of it as a first step in a process. Ask yourself what you need, in your unique situation, to be able to organize and prioritize and look at the steps and the metrics, and follow up on a regular basis. Is your strategy clear? Can you set it down so others can join it? Are dates and deadlines and steps along the way set down clearly? 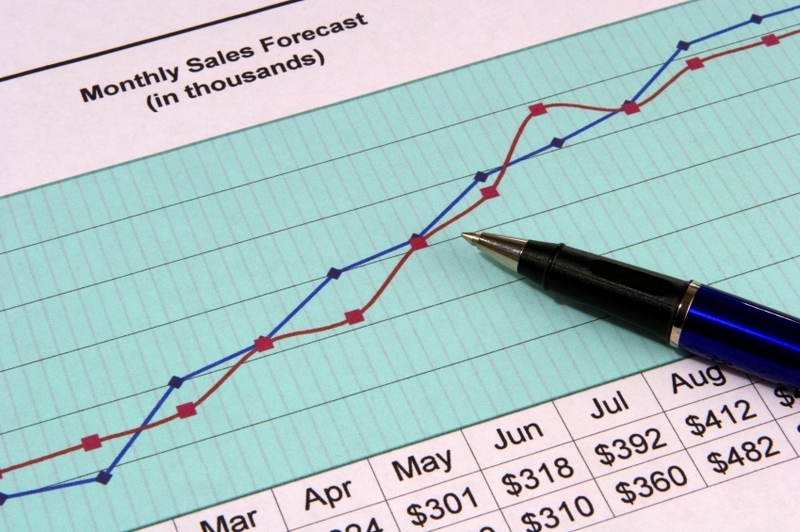 Have you done basic numbers, like sales, costs of sales, and expense budgets? 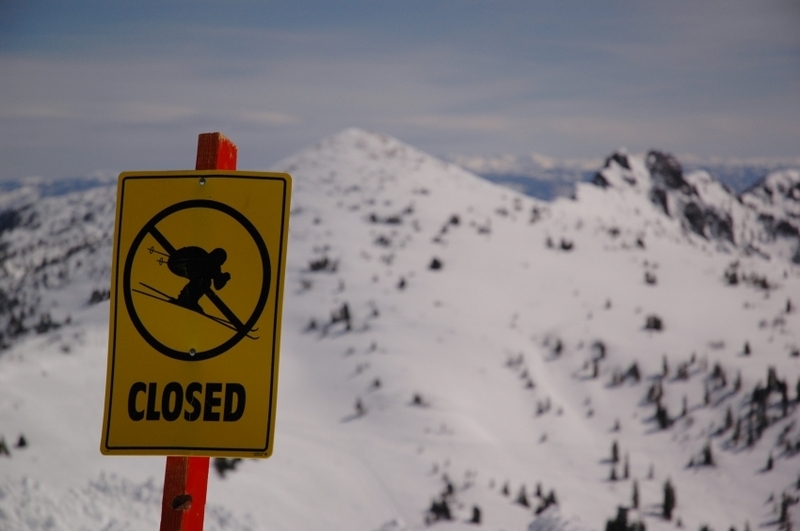 Can you track those regularly and manage for course corrections? That then, is the right business plan for you. This is a simple two-minute video that makes a very powerful point about how fundamentals can change, evolve, and yet, still remain as fundamentals. It was produced by the Business Marketing Association for its 2009 national conference. I’m told that part of it is a remake of a classic McGraw-Hill “Man in the Chair” commercial from a couple generations ago. I’ll take their word for it. I think the whole thing works. And if you don’t see it, you can click here for the YouTube original. 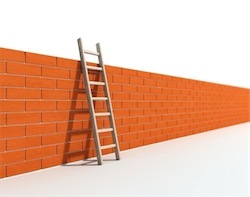 10 business fundamentals I believe, but I can’t necessarily prove. Long-term business success is rooted in value. Businesses that offer value to customers and respect value for employees are more likely to survive. Business ethics are good business; they are like a long-term insurance policy. The more priorities in a plan, the less likelihood of implementing that plan. Passion and persistence don’t guarantee business success. There are a lot of other factors. Bootstrapping is underrated. A great quote: “God bless the child that’s got its own.” –lyrics by Billie Holiday/Arthur Herzog, Jr.
Cash flow is vital but not intuitive. Profits don’t guarantee cash flow. Many profitable companies die for lack of cash. Investors don’t invest in business plans. They invest in businesses they believe will make them money. They invest in the people and the market. But people without business plans are far less likely to get investment than people who plan. It’s about getting your story straight, and reducing uncertainty. There are very few good reasons to spend more than you bring in for more than a very short time. A long-term company-building effort is one of them. Everything you do in a business rules out something else that you can’t do. That’s the principal of displacement. It’s really important. The business identity: what is your core competence, what are your keys to success, strengths, weaknesses, opportunities, and threats. The market: what needs or wants do you solve, who has them, how are you aiming at a specific target market. Can you describe your ideal customer? Strategic focus: what are your main priorities? What aren’t you doing, and why not? How are you dealing with the limits of your resources. This is included in this second of four videos of my November 17th webinar called Back to the Fundamentals, which was my contribution to Global Entrepreneurship Week. Palo Alto Software and Bplans.com is now rolling out on the Web in four 10-12 minute segments, one per day, plus a final one for questions and answers. You can click here to view the second part, a 10-minute video. How do absolute business fundamentals relate to planning fundamentals? I really believe that’s a critical question. Business planning has to relate to the real business principles. It’s about results. It’s not planning for the sake of truth or beauty. It’s not planning for the sake of the document, or formatting. It is about what you need to improve, manage, and plan your business. Form follows function. What’s included in a business plan isn’t necessarily anything more than what you need to understand and manage your business strategy (the heart) and work out what’s supposed to happen when, and how much it costs, how much it brings in, and who’s in charge of it (the flesh and bones). It might never get off of your computer. 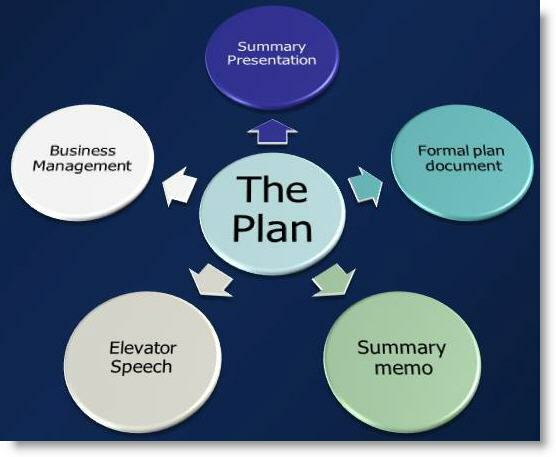 Or, if you need a so-called business plan, or a summary memo, or presentation, or elevator speech, then that is output from the plan on your computer. It’s not the plan, it is output from the plan. 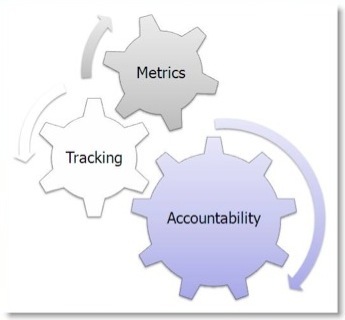 Metrics and tracking equal accountability. Plans should be concrete and specific. How will you know, after time goes on, whether or not you are implementing your plan? That’s a matter of things you can measure, and having the discipline to measure them, and track them. And the result, when it’s done right, is accountability. Planning assumes change. You don’t plan the next year so you know what to do regardless of what happens. No, instead of that, you plan the next year so you know what the plan was as you track results, and changing assumptions, and then manage that plan. Planning isn’t accounting. Accounting starts today and goes backwards into time, in ever increasing detail. Planning starts today and goes forward into time, in ever increasing aggregation. The tables look the same, but the concepts are very different. Furthermore, while accounting is about profits, planning is about cash flow. That idea became last Monday’s webinar called Back to Fundamentals, which I gave as a free contribution to Global Entrepreneurship Week, and which Palo Alto Software is now rolling out on the Web in four 10-12 minute segments, one per day, plus a final one for questions and answers. Before I tell you where to click to view those recordings, I should warn you that you have to input an email address, or the click doesn’t work. Having said that, you can click here to get to the page and then you add your email address and click the “watch the video” button to view it.